Hanoi (VNA) - Vietnamese shares rose for a third session on both local markets on August 25, boosted by financials, energy firms and property developers. The benchmark VN Index on the Ho Chi Minh Stock Exchange gained 0.24 percent to close at 771.63 points. It has rallied total 1.4 percent over the last three sessions. The HXN Index on the Hanoi Stock Exchange added 0.34 percent to end at 102.64 points, extending its gain for a third day with total growth of 1.8 percent. The three-day rallies of the two indices helped them recoup losses made in the first two sessions of the week and end this trading week higher than the previous one. The VN Index posted a weekly gain of 0.3 percent and the HNX Index rose 1.8 percent week-on-week. 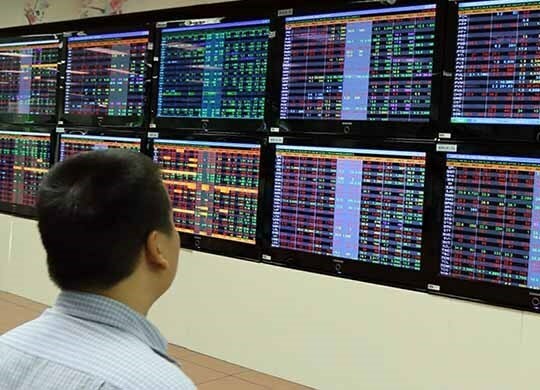 More than 287.3 million shares were traded on both local exchanges on August 26, worth 4.2 trillion VND (186.8 million USD). The trading figures on the day showed increases of 6.6 percent in volume and 1.4 percent in value compared to August 24. Energy, property and banking-financial stocks were behind the market’s gains, according to vietstock.vn. A strong rebound of oil prices also helped energy stocks increase. Brent crude was up 0.6 percent to trade at 52.39 a barrel USD. According to BIDV Securities (BSC), the recent market rallies could be a short-term recovery and may not be stable as investors concentrate on trading speculative stocks such as FLC, Faros Construction (ROS) and Dat Xanh Real Estate Services and Construction (DXG). Meanwhile, they (investors) did not pay attention to large-cap stocks as only 35 million large-cap shares were traded on both local bourses, equal to 12 percent of the market’s total trading volume, BSC said.